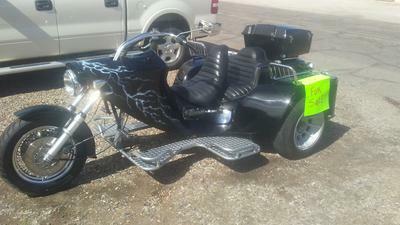 The 2004 VW Trike for Sale features a 1636 engine, a and a Harley Fat Boy front end. The price on the 2004 VW Trike for Sale is just $8k. The trike motorcycle is in Yuma AZ Arizona. Contact me to make a deal using the comment form below provided by GoGoCycles Used Motorcycles for Sale. Join in and write your own page! It's easy to do. How? Simply click here to return to VW TRIKES CLASSIFIED AD INVITATION.